Another thing we are committed to at Boatshed is reducing the costs of boat ownership for our customers. Boat buyers will, typically, spend about 20% of the price of a boat on necessary equipment, products and services within the first 12 months of ownership. This expenditure can be considerable and is often overlooked by other brokers. Our Preferred Partners Program is aimed at reducing this expenditure and thereby the overall cost of boat ownership for Boatshed customers. The Preferred Partners Program connects boat buyers with recommended marine suppliers and service providers locally and across the UK. When buying a boat from Boatshed, many of our buyers require equipment, accessories, sails, insurance, transportation, berthing facilities, upgrades and many other necessary products and services associated with boat ownership, maintenance, cruising and racing. These can be required immediately upon purchasing a boat, or soon thereafter and are often part and parcel of buying and equipping a used boat. Our websites, systems and selling practices are extremely customer supportive and hands-on, with our yacht brokers assisting customers throughout the entire purchase process. This includes most customers relying upon our knowledge of the larger marine sector and asking us for recommendations for these related products and services. Boatshed’s Preferred Partners Program is a development of this broker/customer relationship, addressing the wider requirements of boat ownership through arrangements Boatshed has developed with the leading marine suppliers and service providers. When buying a boat through Boatshed, our customers access a wide range of necessary products and services which relate directly to the specific boat they are purchasing. Our Preferred Partners offer our customers discounts of up to 10% off their retail prices. Enquires are routed automatically by Boatshed’s secure systems to the chosen Preferred Partners, along with any key information or specifications about the boat in question. Boatshed’s customers get immediate recommendations - usually to a number of selected Preferred Partners; at the click of a button enquiries are directed to each Preferred Partner - to someone who is trained to deal with enquiries professionally and quickly - along with any necessary information about the boat; and orders receive up to a 10% discount. For more information about Boatshed’s Preferred Partners Program and available discounts just visit any boat for sale on Boatshed.com or any Boatshed local office website. 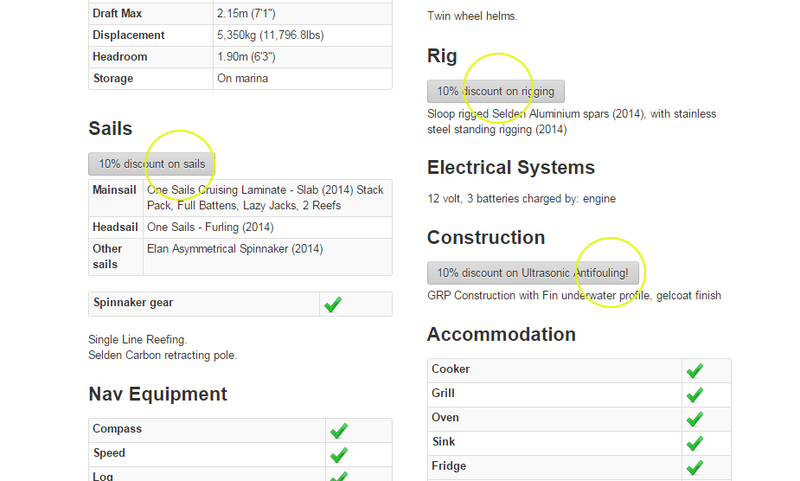 Now search for your next boat to view the discounts included within the boat spec.